Katherine Swartz, Ph.D. speaks on Uncertainty in Federal Health Care Funding at our 5th Anniversary Research Into Policy and Practice Lecture guest speaker - Watch Here! Our department is growing! See our openings page for more information about how to join us. Dr. William Schaffner honored as 2018 Tennessee Health Care Hall of Fame Inductee - Photo courtesy of Belmont University Photographer. Vanderbilt University's new Department of Health Policy brings together a broad group of health policy scholars devoted to developing health policy solutions that can have a profound impact. The Department builds on a history of strong collaborative relationships with the Tennessee Department of Health, the Centers for Disease Control and Prevention, and several frontline policy makers to develop health policy solutions for our nation’s most pressing health care challenges. The combination of a major research university and preeminent medical center gives Department faculty incredible opportunities to build relationships with frontline care providers and policymakers which can lead to breakthrough discoveries. The Department fosters a deep belief that research and innovative thinking should guide health policy relationships and help policymakers understand implications. The Department offers the M.P.H. degree, including a Health Policy Track. 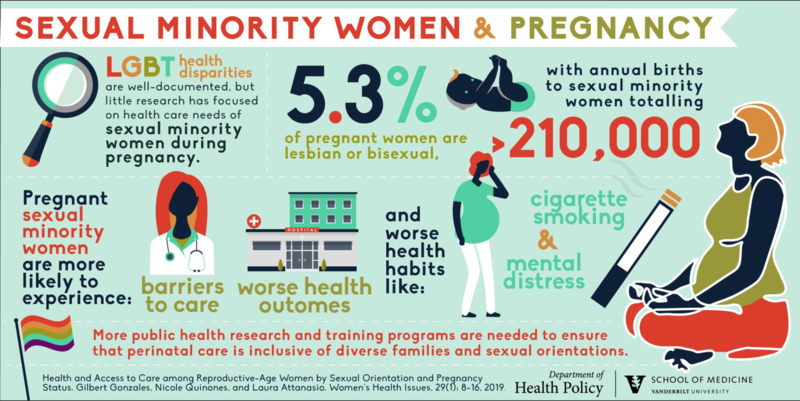 Check out our latest infographic on key health policy issues facing pregnant sexual minority women - For all media and resources, click HERE.